September 22, 2014 /0 Comments/in Foam Crafts /by Craft Supplies for Less, Inc.
Did you know Craft Foam floats?!? Well, it sure does! 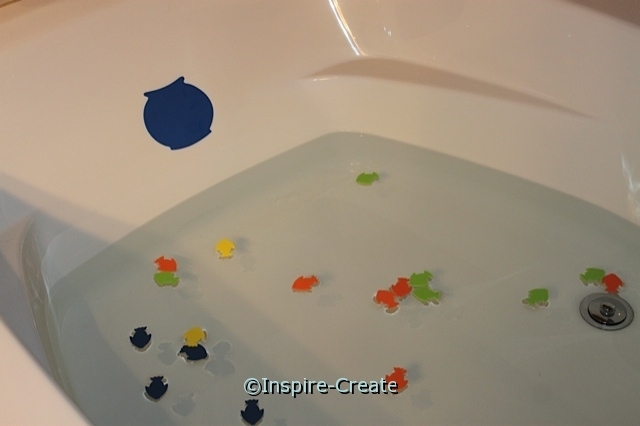 So why not keep the kiddos busy in the bathtub with our craft foam shapes? We have one of the best selections of foam shapes available online and they are all made right here in the USA! Choose your child’s favorite shapes (flowers, hearts, stars, polka dots, fish, cars, firetrucks, frogs, & many more) and we will make them in whatever colors you would like (for no additional charge). 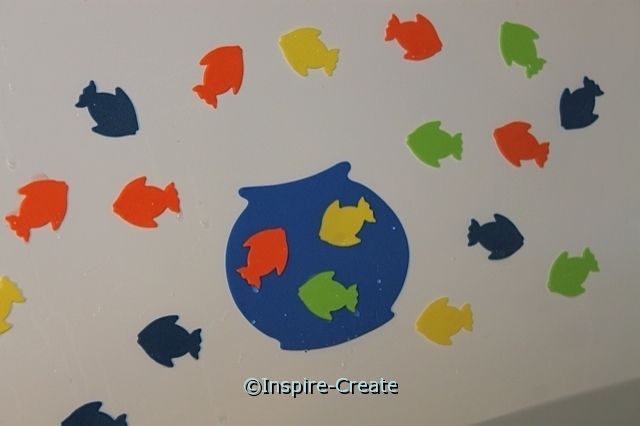 Craft Foam Shapes are perfect for hours of inexpensive bath time fun! Not only does the craft foam float, it also “sticks” to the bathtub and shower walls. As long as it’s wet it will stay in place! 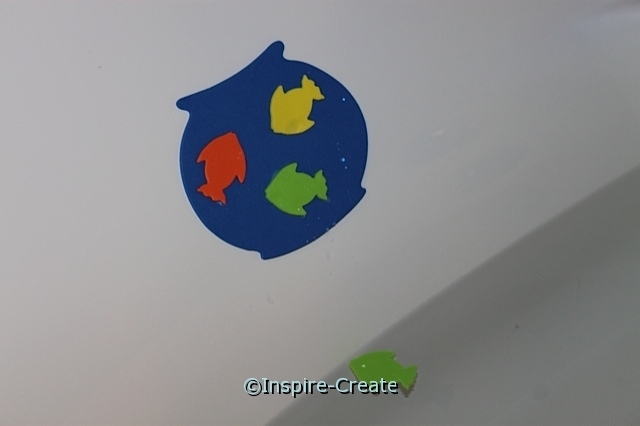 To re-use craft foam shapes, simply apply to bath/shower walls and let dry. They will fall to the base of the tub once they’re dry. Or you can lay shapes on a towel. Once they are dry, store them in a container until the next bath time. Counting: tell child to put 2 fish in a bowl, etc. Or put as many fish they can get into a bowl and then count the total. After each use, we recommend letting the craft foam shapes dry completely. 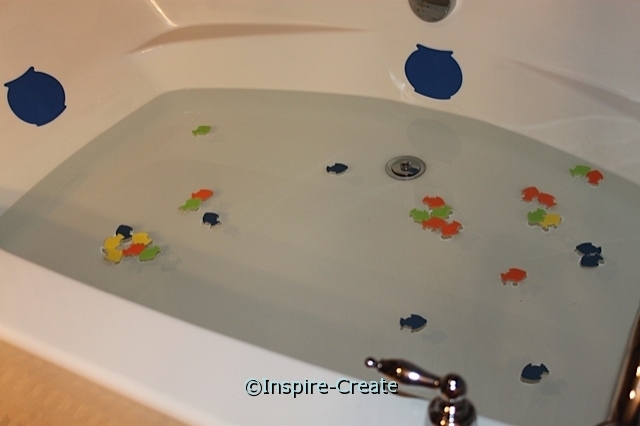 Once they are dry, remove them from the tub and store in a small container until the next use. You could also keep them in a plastic bag but only if they are completely dry. Now it’s time to be creative and let your child’s imagination run wild! They may just stay busy decorating all of the tub and shower walls. Of course, we strongly urge you never leave children in the bathtub unattended. 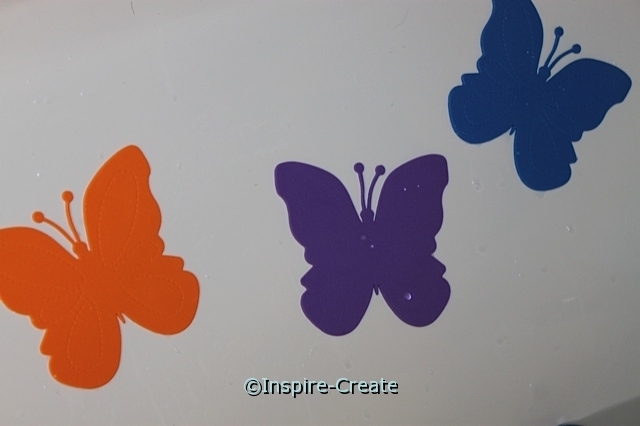 Here are a few more bath time craft foam shapes ideas… polka dots and butterflies. Can’t you just see a polka dot shower in a girls bathtub? So cute!!! 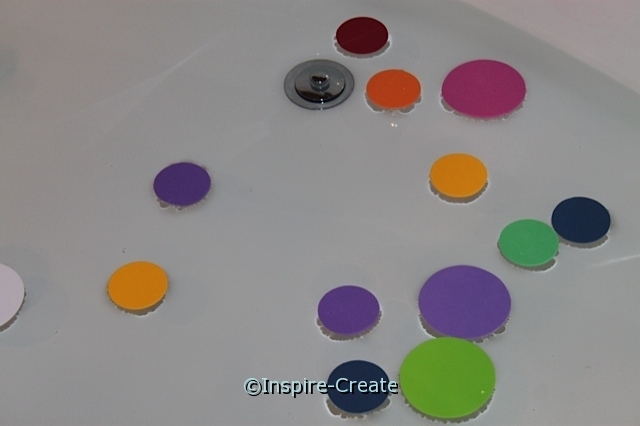 These are wet craft foam shapes are like removable stickers for the bath tub!